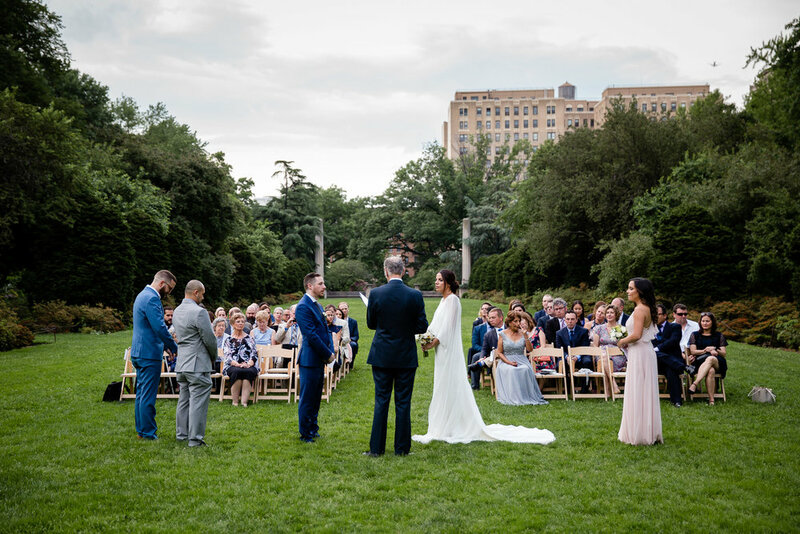 For Yasmin and John Brooklyn is their home, the place they met, the place they fell in love. 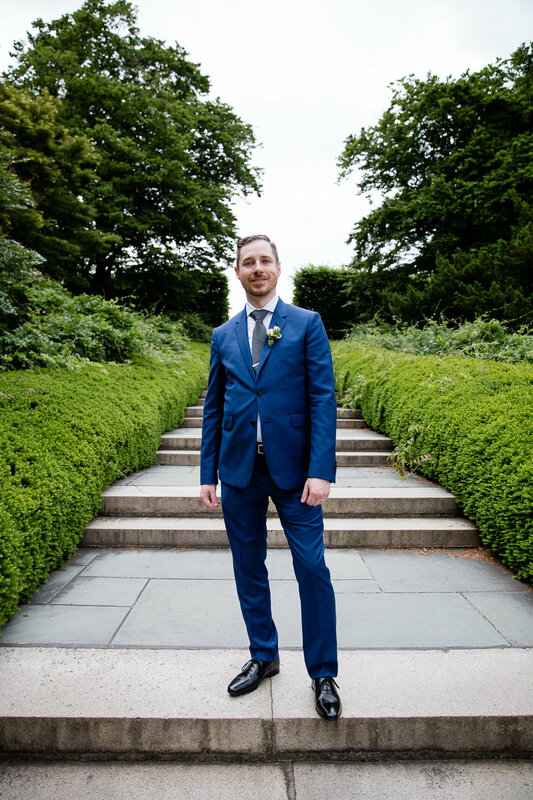 They spend time together walking their adorable dog, Rocket, through Brooklyn’s parks (we even did their engagement session with Rocket in a couple of the parks near their apartment). 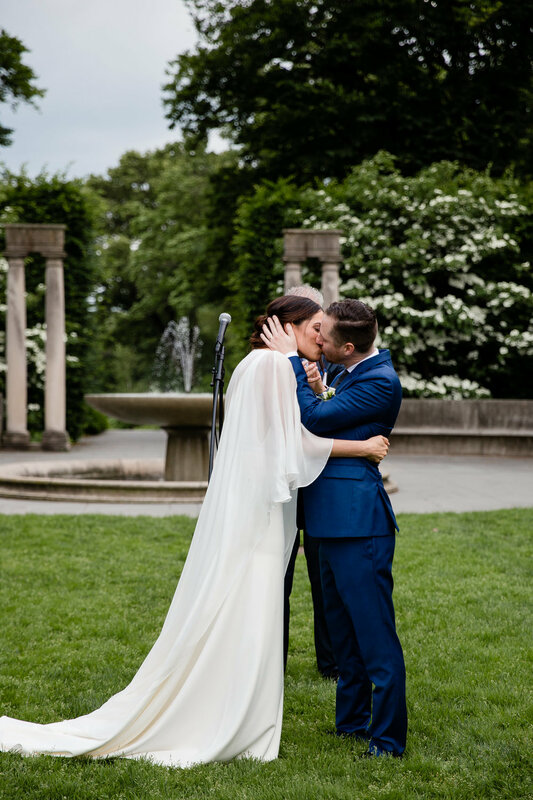 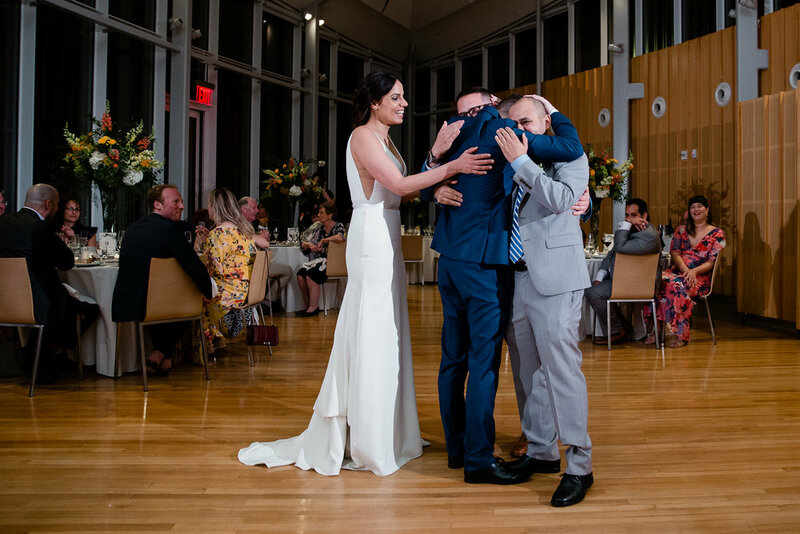 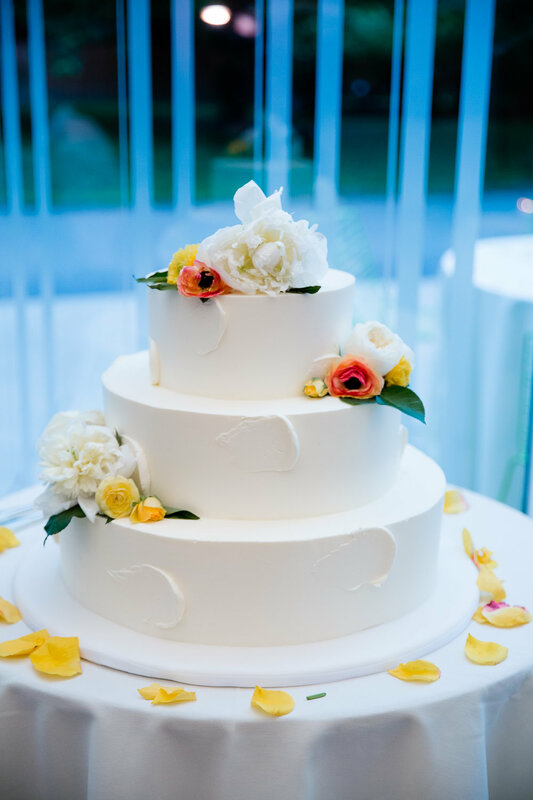 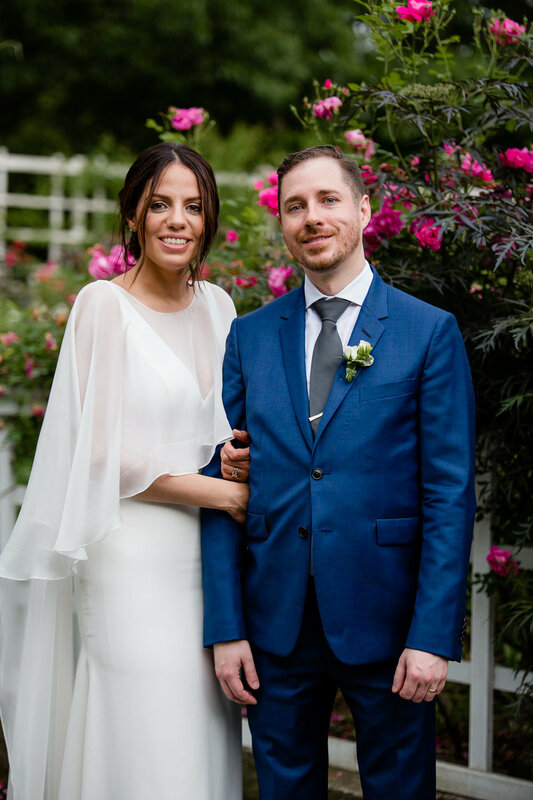 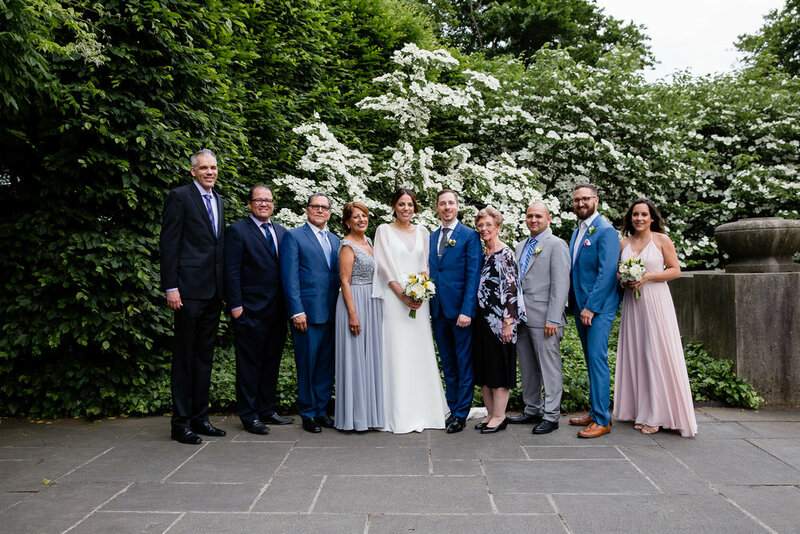 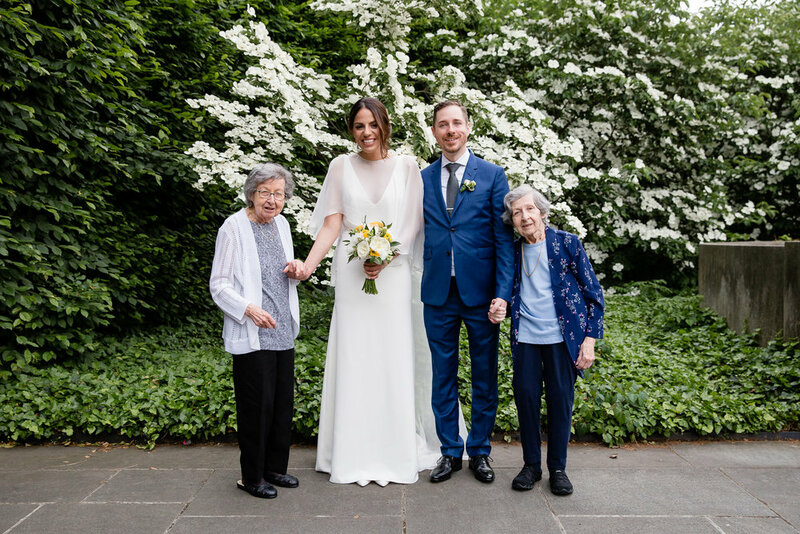 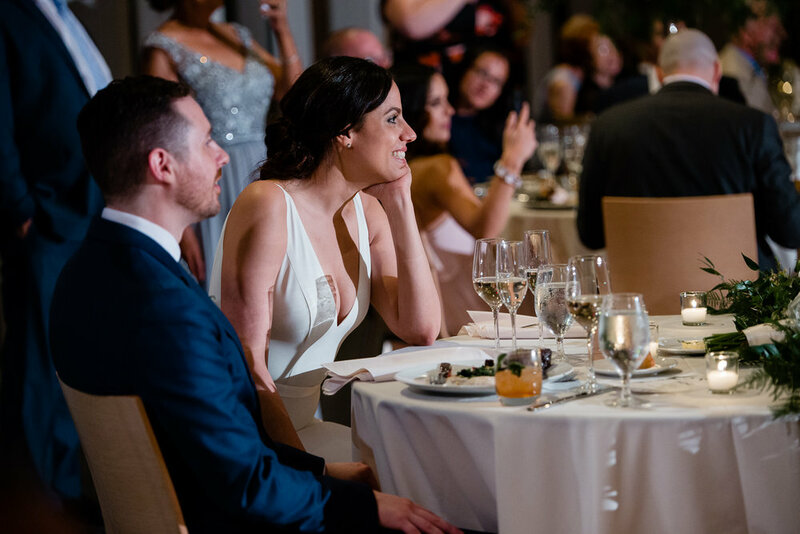 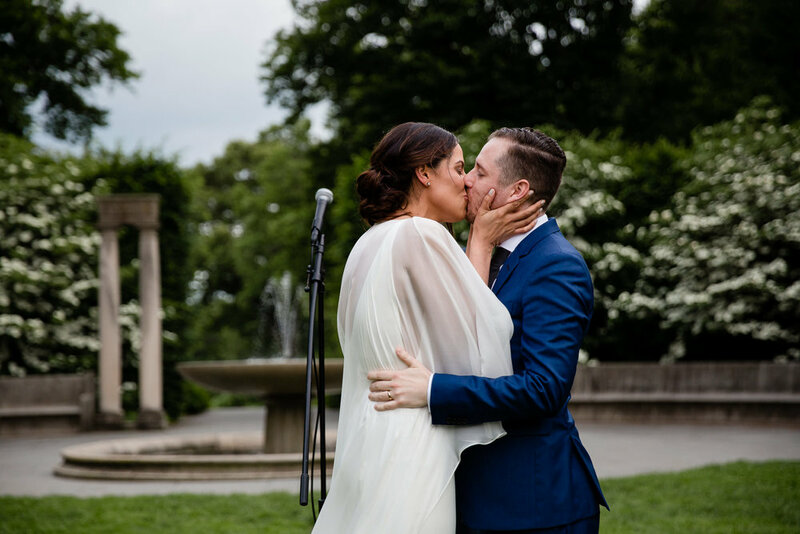 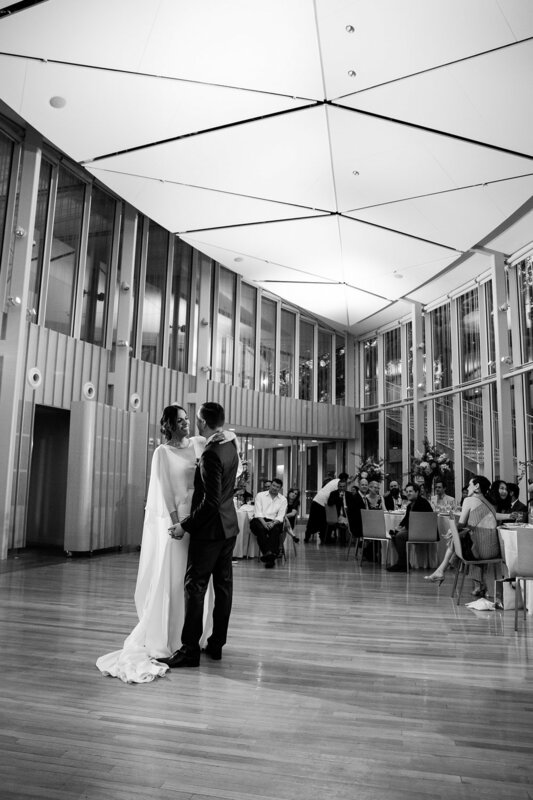 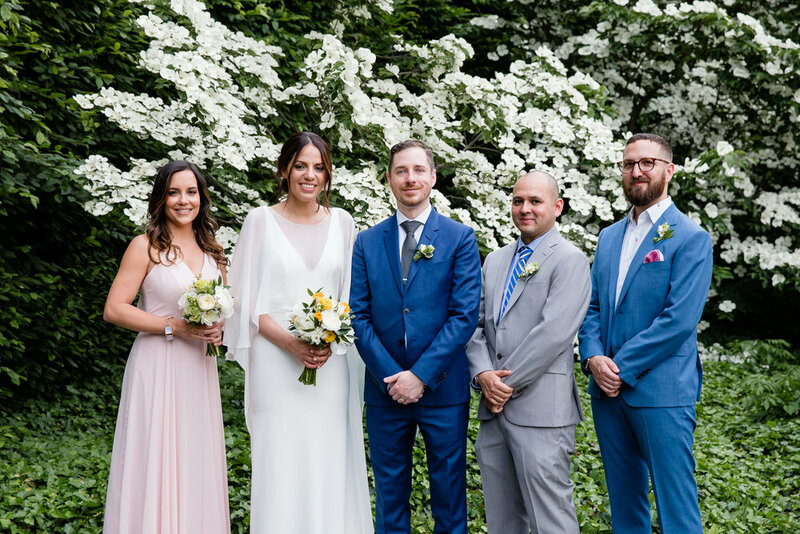 So it was important to them to celebrate their marriage here, among the summer blooms of the Brooklyn Botanic Gardens. 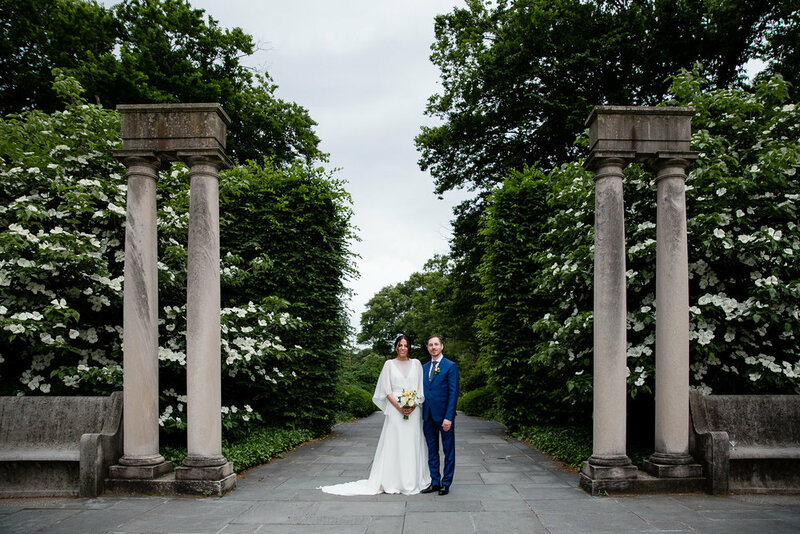 Though the rain clouds threatened all day, it stayed dry and we were able to spend the evening enjoying the vibrant greens, the roses, the lilacs, and then the super fun party in the garden’s Atrium. 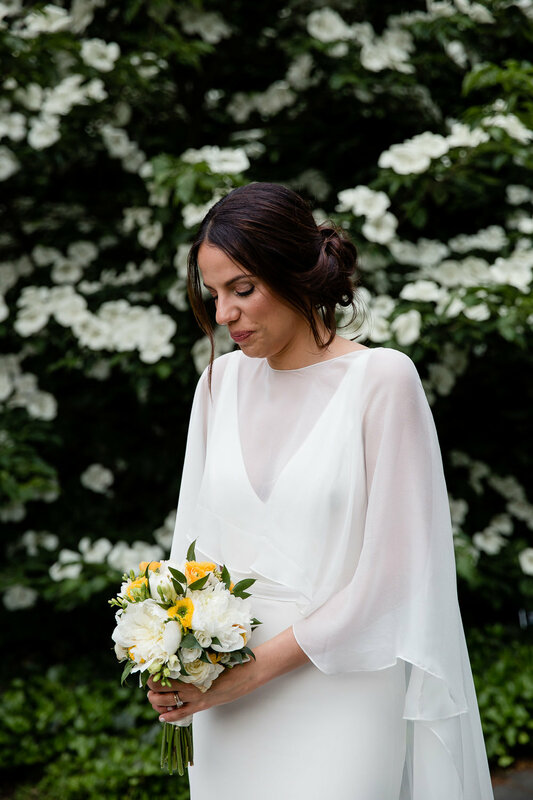 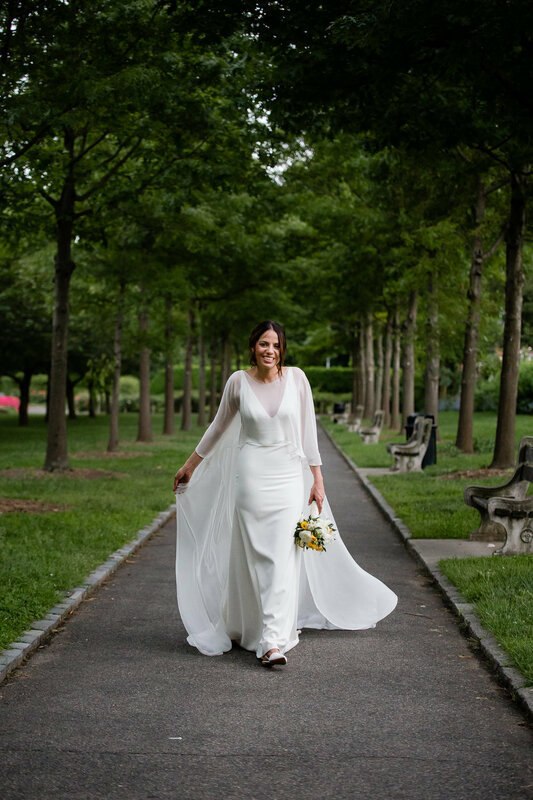 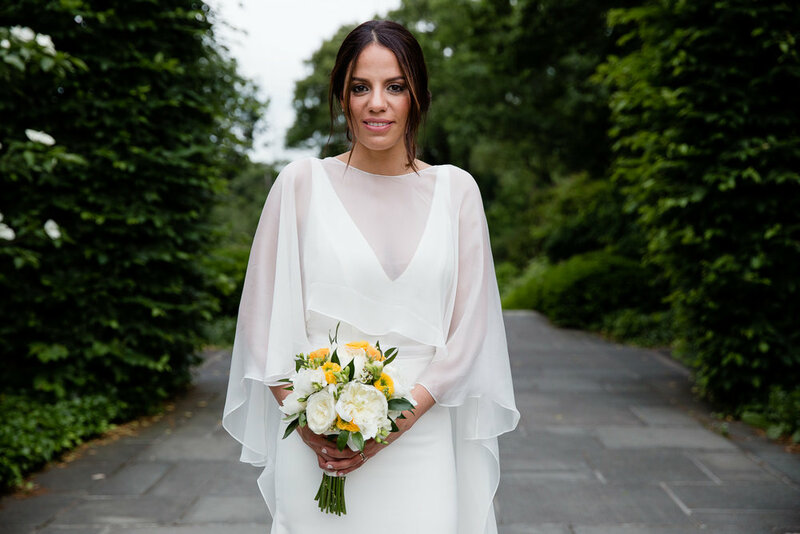 Yasmin absolutely killed in a simple, classic dress topped off with a flowing, glorious cover-up by Sarah Seven. 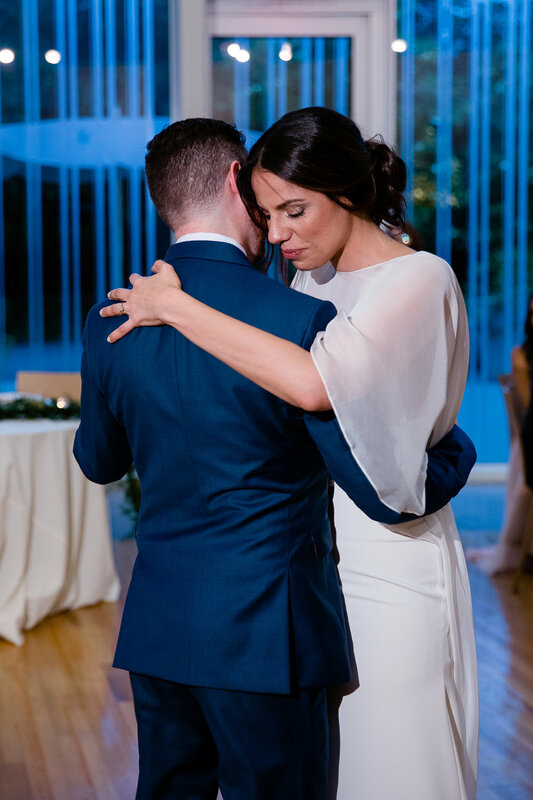 I was obsessed with the way this dress moved. 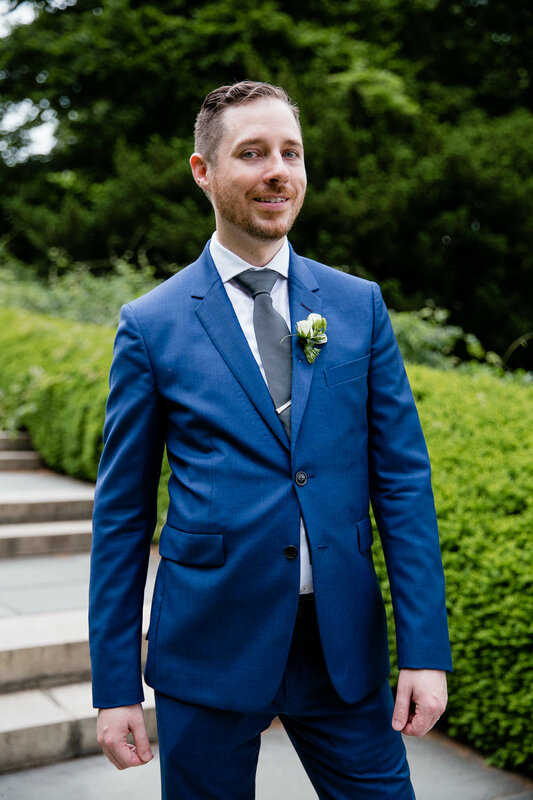 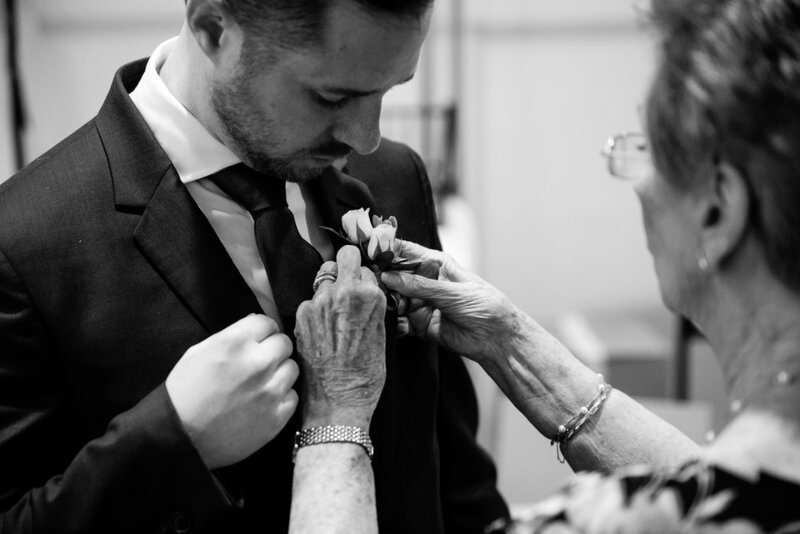 And John’s blue suit was the perfect compliment beside her. 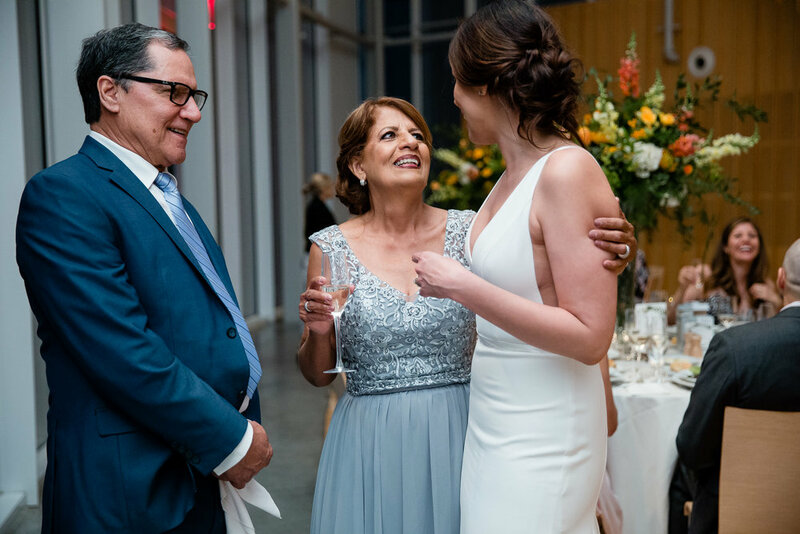 Patina Events catering and Mona of Mon Amie Events rounded out the incredible team at the reception, keeping the energy and fun going all night long. 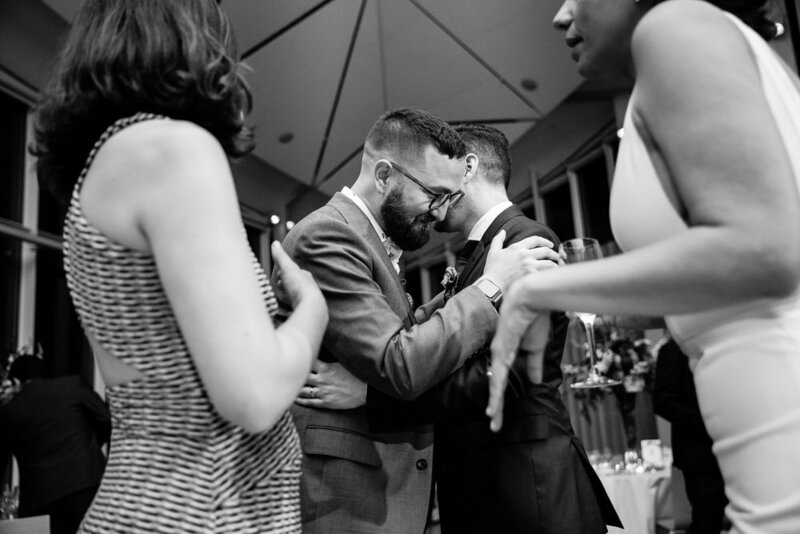 There were tons of hugs, some killer dance moves, and polaroid paparazzi everywhere you turned. 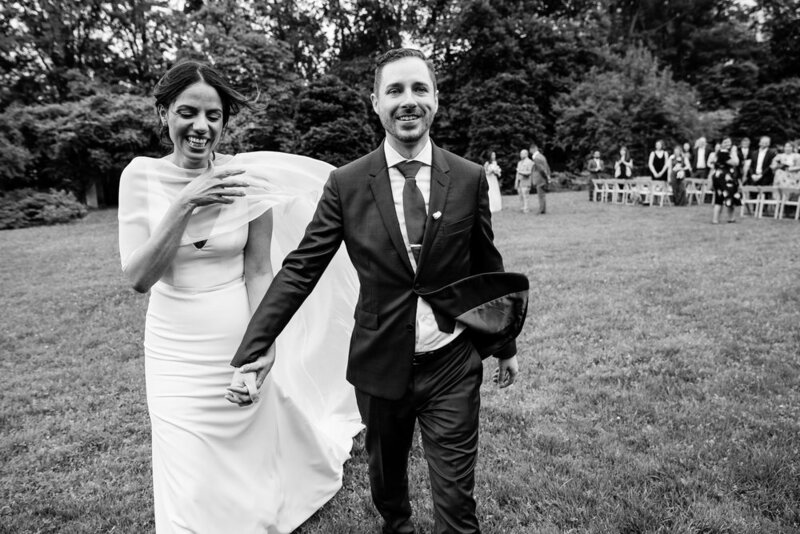 Cheers to Yasmin and John and all of your future Brooklyn adventures!